Check-out is Easy! We accept Cash, Visa, MasterCard, Amex and Discover and will provide you with a detailed receipt! Making MONEY!!! And saving money to!! Its a great place to get gently used kids clothes at reasonable prices. The shopping and making money by selling my items! Love JBF and Denise. Consignment with a Cause- About your Blaine/Andover Owners: We believe that we are priviledged to be able to serve area families by bringing a high-quality sales event that helps them make money and save money. We also love that we can give back to the community. We understand that need is not always determined by financial status. With JBF, we can help in a lot of different ways no matter what the circumstance. We are thrilled that you are thinking about joining us for this exciting event! This is an outstanding opportunity for moms and dads like you to earn a great profit for your children's gently-used items and help the less fortunate families of the Twin Cities. Becoming part of this great event is easy. 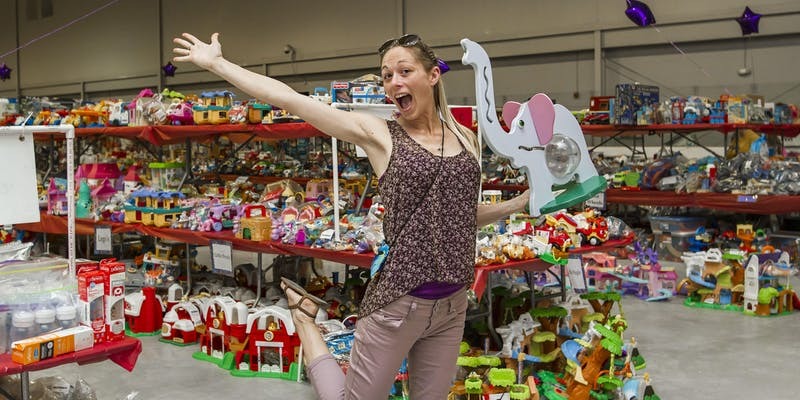 You gather your items, prepare them for the sale, and drop them off at the sale to be sold. For participating, you get to be a part of a presale that you have to see to believe! Imagine this: over 15,000 square feet of the best in children's, teen's, and maternity merchandise that you have ever seen! We hope to see you at the next event!